The former midfielder believes his country are suffering a “hangover” following their World Cup-winning endeavours. Hamann won 59 international caps for Germany. FORMER LIVERPOOL AND Germany player Dietmar Hamann believes this week is a good time for Ireland to face the world champions and feels Martin O’Neill’s men are capable of pulling off an upset. “Not many people have won in Germany, but we saw Scotland taking them close a few weeks ago,” he tells TheScore.ie. “Germany lost quite a few footballers after the World Cup to retirement, and they are just about to replace them with a new crop of players to get results. After a World Cup win, there’s always a bit of a hangover, so it’s a good time for Ireland to play Germany. “If Ireland believe that they can get something, I won’t be too surprised if they do. Scotland could [almost] do it, and I think Ireland and Scotland are at a similar level at the moment. If anything, Ireland are maybe a little bit stronger, because they had a great result away against Georgia. There has been some debate over whether Ireland’s record goalscorer Robbie Keane should start, or whether Martin O’Neill would be better off opting for a striker with greater pace and physicality as the lone frontman that Ireland are expected to employ. But Hamann says the Germans won’t be too concerned about whether or not the top goalscorer in international football starts, as they’ll be focusing more on their game. “I think everybody knows what Robbie Keane has done for Irish football and what he’s done in the Premier League,” he says. “If the manager decides not to play him, that means there is someone in the team that he thinks gives him a better chance of getting a result. As long as he scores goals, I think he should be involved in the set-up, whether from the start or off the bench. As impressive as Keane’s goalscoring feats are at international level, the ex-Bayern Munich midfielder says German fans, media and players regard Ireland primarily as a team who are strong as a unit, rather than focusing overtly on one individual player. “Ireland have always had good collective strength and similarly to Germany, they’ve lost quite a few experienced players lately. “This is a new group, a new team and the most in-form players at the moment I’d say are Seamus Coleman [who is injured for the Germany game] and Aiden McGeady, who have done a tremendous job for Everton. Dietmar Hamann was speaking at the launch of the new Liverpool FC store in Dublin’s Ilac Centre. Email “'It's a good time for Ireland to play Germany' - Didi Hamann”. 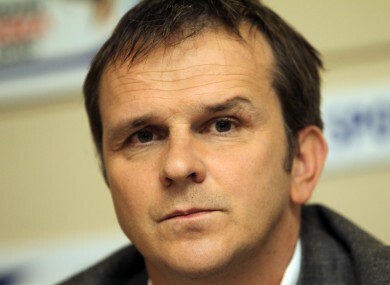 Feedback on “'It's a good time for Ireland to play Germany' - Didi Hamann”.